Parts of PRaVDA – research platform for Proton Therapy Instrumentation, especially Proton CT – has been installed at the iThemba LABS, South Africa. Four proton trackers, two in front of a phantom (in time, a patient!) and two after, record the paths of individual protons. 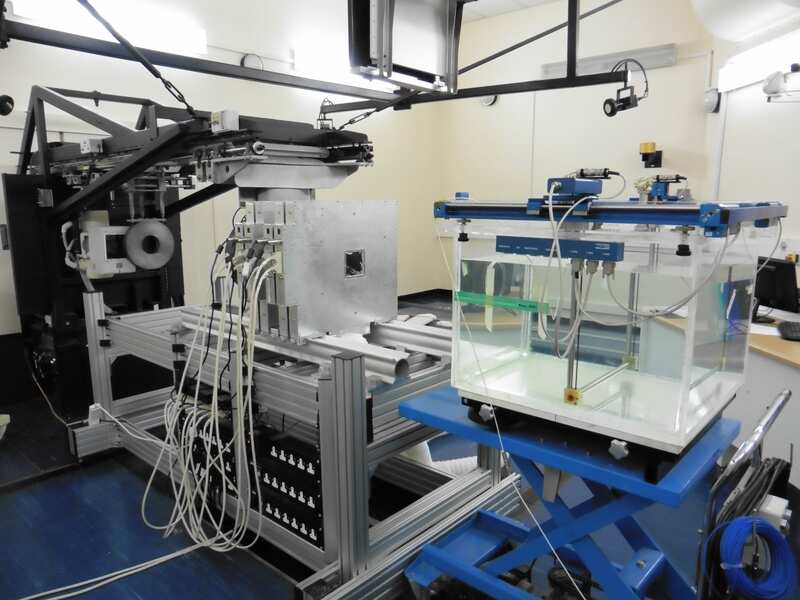 The “fish tank” on the right is to calibrate the energies of the protons in the beam (typically 125 – 250 MeV). This entry was posted in News on November 29, 2015 by Prof Nigel M Allinson, MBE – Distinguished Chair of Image Engineering.